It’s been said since the year 2013 that Toyota’s upscale Avalon sedan is not your father’s Avalon. A major redesign that year means the 2015 version finally looks like it belongs in the twenty-first century. The latest iteration feels more agile on the asphalt and packs more state-of-the-art comfort, safety and convenience features, and of course, this full-size 4-door still seats 5 in a roomier-than-average cabin, even as it totes some 16 cubic feet of trunk space—or at least non-hybrid versions do. That’s right, this posh people-hauler remains available in either the regular gasoline-burning version or in eco- and fuel-budget-friendly Avalon Hybrid garb, but getting downright picayune, luggage-lugging capability in the gas/electric variants is cut by the still curiously old-technology nickel-metal hydride battery to only 14 cubes. Perhaps the biggest news for the 2015 Avalon lineup in the upcoming year, however, is the addition of a sport-oriented XLE Touring SE trim to the non-hybrid trim listing, thus resulting in a stable that boasts the base XLE, the up-featured XLE Premium, the limo-like XLE Touring, the newly added Touring SE and the top-shelf Limited. The Avalon Hybrid’s trim tally, meantime, again includes the Hybrid XLE Premium, the Hybrid XLE Touring and the Hybrid Limited. 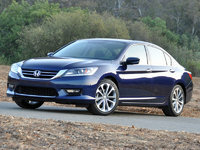 All trims, both gas and hybrid, also remain delivered in only front-wheel drive (FWD). The 2015 Avalon in non-hybrid form once again packs a 268-hp 3.5-liter V6 powerplant mated with the standard 6-speed shiftable automatic transmission to put out 248 lb-ft of torque. Mileage remains a fairly respectable 21 mpg city/31 highway for an average of 25 mpg in the XLE and Premium iterations, while the XLE Touring and the Limited, each toting a bunch of extra bling, drop to a 24 mpg average. Towing, meantime, is again maxed out at 1,000 pounds with the proper equipment. The number of ponies drops to 200 in the Avalon Hybrid editions as the 2.5-liter inline 4-cylinder gasoline-fired engine returns for 2015 to again be joined by the traditional 650-volt electric motor, along with a second electric motor for starting and for powering accessories. 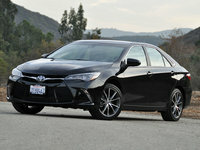 Boasting, once again, a competent continuously variable-speed transmission (CVT), these green-leaning Avalons are estimated to sip gas at a 40/39 clip, possibly allowing you to recoup some of the extra cash laid out at purchase if you can keep your new Avalon Hybrid for, oh, about 7 or 8 years. Moving on to the various pillars of plush packed into this handsome 4-door, the 2015 non-hybrid Avalon XLE sports 17-inch alloy wheels and heated power-adjustable mirrors outside, with leather upholstery, heated power-adjustable front seats and full power accessories, including keyless entry, adorning the inside. Of course, cruise control and telescoping tilt-wheel steering again grace this entry-level edition, as does a rear-view camera and dual-zone climate control, all complemented by leather and simulated wood cabin accents. Techno-wise, meanwhile, the XLE again totes a single-CD player with 8 speakers and auxiliary audio input, along with standard Bluetooth hands-free calling. Moving up to the XLE Premium and Premium Hybrid trim, you’ll notice such added standard features as a power sunroof, a remote garage door opener and an auto-dimming rear-view mirror, while the XLE Touring and Hybrid Touring both add 18-inch alloy wheels, steering-wheel-mounted paddle shifters (non-hybrid), memory for driver’s settings, Enform Smartphone apps, satellite radio and a sub-woofer. Meanwhile, the flagship Avalon Limited, in either gas or hybrid form, adds auto-dimming outside mirrors, blind-spot monitoring, upgraded leather, tri-zone auto climate control, heated rear seats and such upgraded techno-goodies as GPS navigation with a 7-inch touchscreen and an 11-speaker JBL premium sound system. And as for the new-for-2015 non-hybrid Touring SE, expect a sport-tuned suspension to join the list of standard stuff that’s also found in its less athletic XLE Touring sibling. 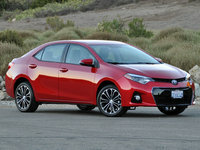 Noteworthy options for lower Avalon variants include most of the added standard bells and whistles that are packed into higher trims, while the Limited and its Hybrid Limited sibling each return eligible for an available Technology Package boasting adaptive cruise control, automatic high-beam control and a pre-collision safety system. Oh, and standalone options poised to be added to any 2015 Avalon assignation include remote engine start and a glass breakage sensor. To finish up, safety features that come standard throughout the 2015 Avalon lineup include 4-wheel antilock brakes (ABS), traction and stability control, front and rear side-mounted airbags, front and rear head airbags, and front head restraint whiplash protection. Turn-signal-integrated mirrors also remain standard, lineup-wide, as do daytime running lights and a remote antitheft alarm. To all this, the Touring and Limited editions add standard front fog/driving lights, with the Limited tacking on standard high-intensity-discharge (HID) self-leveling headlights, a post-collision safety system and Entune emergency communications services that include stolen vehicle tracking. 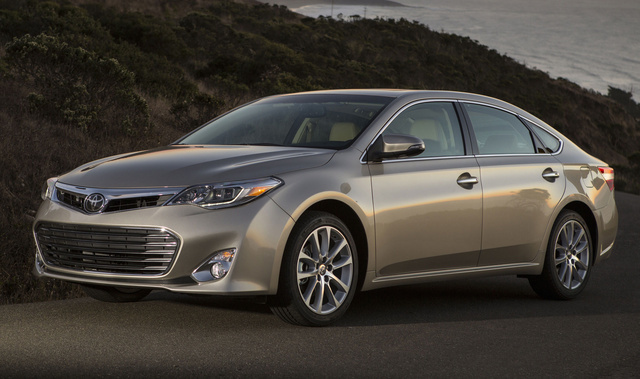 What's your take on the 2015 Toyota Avalon? GuruDR9LT I just purchased a 2015 Avalon Limited. It is my fifth Avalon--all purchased used. One disappointment: it no longer has a locking gas cap, or I cannot find it. Please enlighten me. 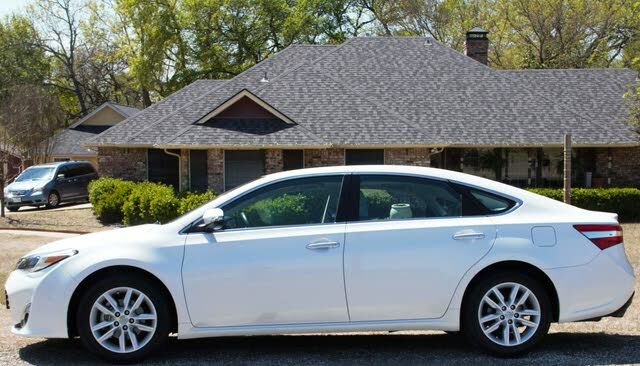 Users ranked 2015 Toyota Avalon against other cars which they drove/owned. Each ranking was based on 9 categories. Here is the summary of top rankings. Have you driven a 2015 Toyota Avalon? How many miles/months between oil changes? 2015 Toyota Avalon Power Steering Noise?